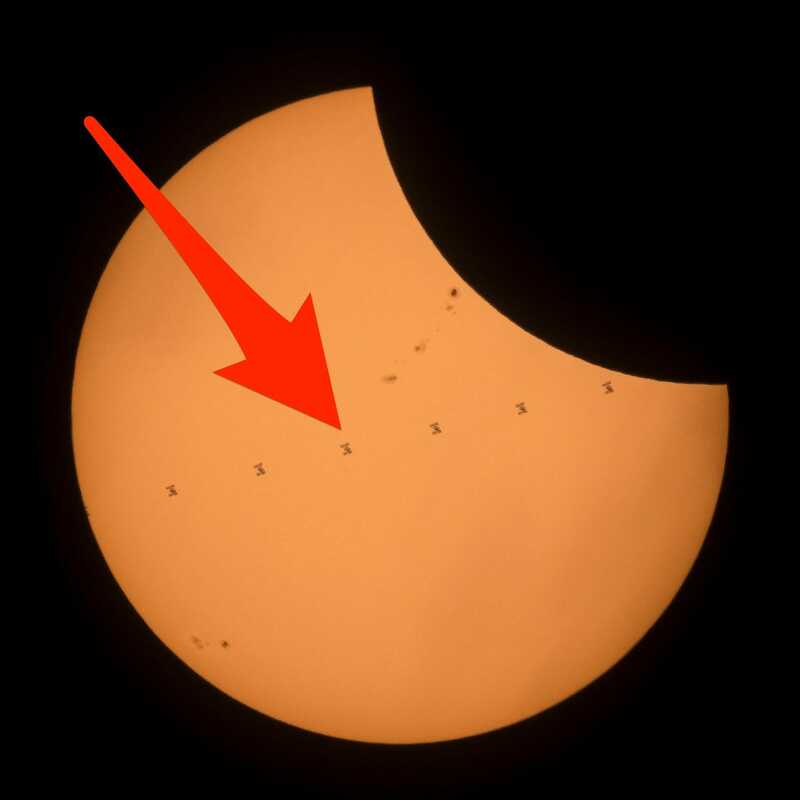 Joel Kowsky, one of the space agency's photo editors, was in Banner, Wyoming, to watch the solar eclipse when he photographed the International Space Station zooming in front of a crescent sun. Below is a video Kowsky recorded using a high-speed camera that recorded 1,500 frames per second. He also photographed the ISS with a standard camera. Such high-speed recording is necessary because the ISS is roughly the size of a football field, orbits Earth from 250 miles (400 kilometres) up, and moves at a speed of 17,500 miles per hour (28,000 km/h).